This will be a series of posts about the Kriegsmarine (German Navy) and it’s implementation in WoWs. This post will feature the destroyers Germany build for the second world war. The Germans had 2 classes of DDs in the second world war with a total of 6 subclasses and 45 ships. 2 subclasses ( 1936A (Z28) and 1936 (mob)) feature no improvement in aspects important to the game and are not included here. 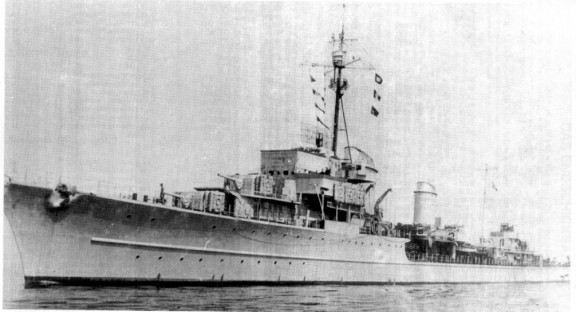 Type 1934: The first class produced was the Type 1934 destroyer. After 4 produced units minor modifications were made and the Type 1934A was born. Both were equipped with a single rudder and therefore not as maneuverable as their counterparts from other nations. The maximum speed was 36 knots. Also the displacement was quite big (3100 tons compared to 2500 of the Fletcher class(at maximum load both)). The ships were armed with 5 127mm (2 at the front, 1 midships and 2 aft) guns, each capable of 15-18rpm with a range of 22000m. 2 quadrupe 533mm torpedo tubes were installed. The AA consisted of 4(mounts)x1(barrels)x3,7cm Flak(or 2×2) and 6x1x20mm Flak. The AA was upgraded during the war and a variety of configurations existed. The strongest setup consisted of 7×2 37mm, 3x2x20mm and 1x4x20mm. During most of the AA modifications the 3rd gun was removed. In WoWs: Suitable for T4-6 depending on the stats WG implements. You can expect a lot of hitpoints as well as good guns. They will not turn well and the AA will be short ranged. After the late-war AA upgrades the range will not be increased but the DPS will significantly improve. Range should be at American DD levels. Type 1936: The Type 1936 was a larger version of the Type 1934 with improved design based on the experience made. The main armament and torpedo setup was identical. The ships displaced 3400 tons and could reach 38,5 knots. In 1945 the AA was in the proces of an upgrade to 6×2 and 2×1 37mm as well as 1×1, 2×2 and 1×4 20mm. The installation of an 86mm AA rocket launcher was ordered but never finished. The AA rocket was unguided and not more effective than a normal Flak 8,8. In WoWs: An upgrade to the Type 1934. Faster, bigger (more hitpoints). Still not turning well. Better AA. Type 1936A: Here things get interesting. The hull became slightly larger, the displacement went up to 3694 tons. The main battery was changed to 150mm caliber. 4 mounts were intended while the forward one was supposed to be two-barreled. The later one proved to be difficult to produce and a single 150mm was used instead. In 1942 the first dual turret was introduced. Torpedo armament still was 2×4. In 1944/45 the AA was improved further up to 4×2 and 3×1 37mm, 3×4, 4×2 and 1×1 20mm. The installation of 2x1x55mm AA was started but it remains unclear if it was completed. A 86mm AA rocket launcher was installed. In WoWs: You get heavy guns (light cruiser caliber, 5.9 inch) with slow reload and good AA. Maneuverability improves due to dual rudders. Speed is still 38,5 knots. Type 1936B (mob): Since the 150mm guns were not convincing they were replaced with 5x1x127. The hull had minor changed Some units still got 150mm guns in single mounts. AA was further improved. It consisted of 2x2x37mm and 6x2x20mm. The AA was upgraded to 4/5x2x37mm, 6x2x20mm and 3x4x20mm. In WoWs. Artillery is similar (other load-out but the same amount of guns). You get the choice between 5 and 5.9 inch guns. AA gets somewhat better. 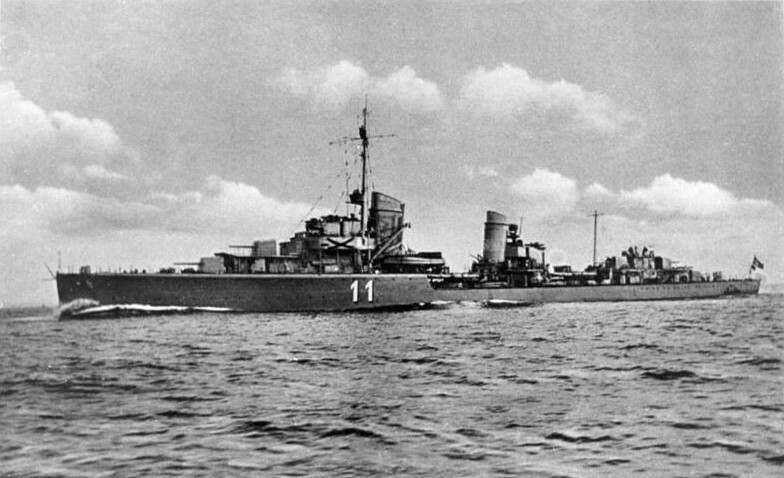 To sum it up: The German destroyers were larger and not as maneuverable than other ships in the class. In real life they were not suited very well for operations in the oceans due to poor stability. The armament was heavier and had longer range. One thing about the torpedoes. Historically they had a range of around 6-12 km and a speed of 44/30 knots. In WoWs this speed will be improved as far as necessary to balance things. The next part will feature the destroyer projects which were not built.